An accumulation of large dinners, and greasy lunches at her workplace canteen, caused damage to the lining of Da Silva’s throat. Doctors diagnosed her with reflux disease, and warned of an increased risk of diabetes. At the time, she was also engaged, and wanted to look great on her wedding day. 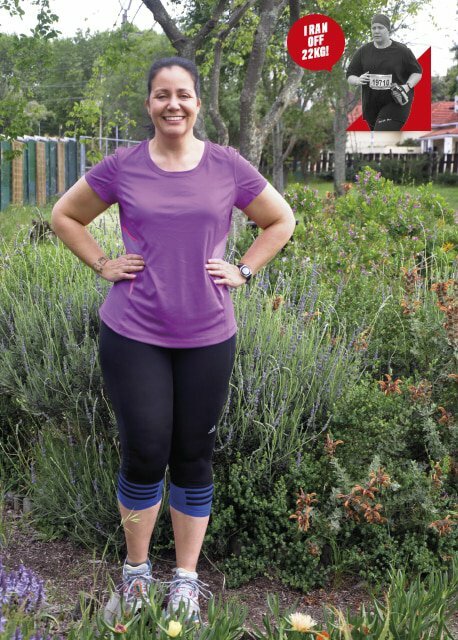 Da Silva fell in love with running when she participated in her local parkrun with her husband. 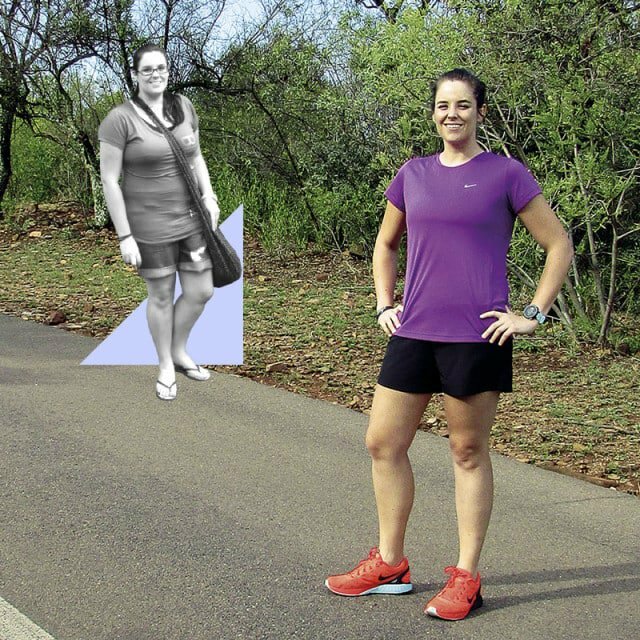 Combined with a strength-training programme, running toned her muscles, and gave her the energy and stamina she needed to progress to the half marathon. In the past, she’d quickly lost interest in every sport she tried. Finally, she has chanced upon one that sparked a passion – and helped her fit into her wedding dress. Since featuring in RW, Da Silva has run two more half marathons, and 10km in under an hour. RELATED: Run Your Belly Off! Baroutsos was 39 years old, and couldn’t even run around the block – which bothered him. 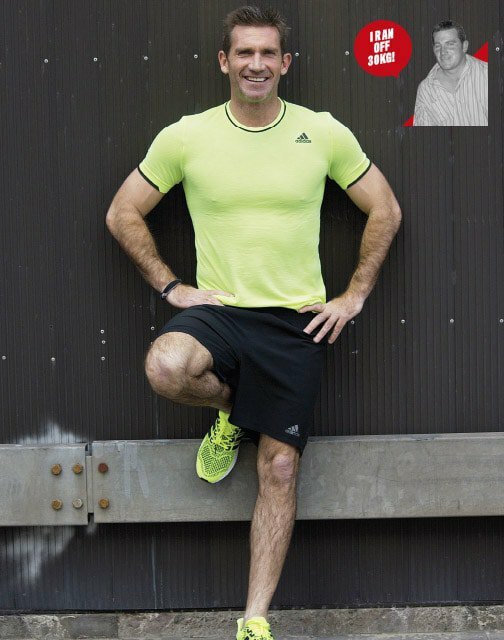 Running has made his heart healthier, and as a result his blood pressure isn’t as high anymore. Since featuring in RW Baroutsos has run a sub-50-minute 10-K, and in February 2017, he finished his second full marathon. Singh ate badly, drank, smoked, and didn’t do much exercise. Concerned about the bad example she was setting for her children, she ditched her sedentary lifestyle in favour of a sport she came to love. Running helped Singh to feel confident about her body, because it’s one of the best ways to keep unwanted tummy fat at bay. Because Singh weighs less, she’s able to push her body further than she thought possible. 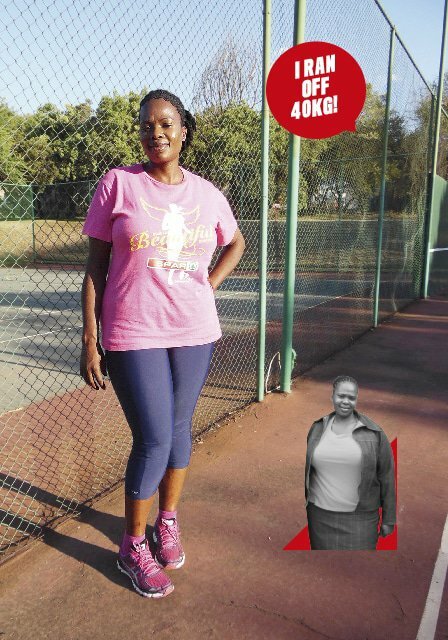 Her proudest achievement: finishing the John Korasie 30-K.
Laka didn’t like the way she looked, so she started running around a nearby soccer field. Then, her boss at the gynaecologist’s she worked at kindly bought her a set of bathroom scales, and recommended she seek advice from a dietician. Running is the gift that keeps on giving: the more Laka does it, the bigger the benefits. Having invested in her health, she feels young again, because she can perform tasks like tying her shoelaces, and climbing up stairs, with less effort. 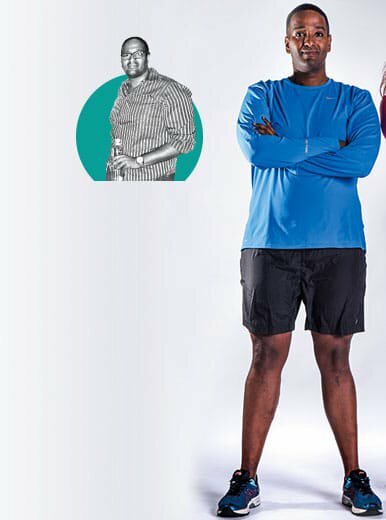 Since featuring in RW, Laka has started participating in half marathons. Eshetu was a yo-yo dieter who relied on food as an emotional crutch, and became obese. He worried about the health concerns associated with carrying extra weight. Running requires sacrifice. But Eshetu kept a positive mental attitude, and committed to training almost every day. As an incentive, each time he lost a kilogram he put money in a jar. When he’d saved enough, he rewarded himself with clothes in a smaller size. His body looks taller, prouder – and ready to handle the stresses of daily life. Cavanagh suffers from degenerative disc disease, rheumatoid arthritis, and presents with multiple sclerosis. When she first started running, she was overweight, unhealthy, and had poor lung capacity. But that all changed the more she ran. She planned her training programmes meticulously around her chemo days, and stuck to a healthy diet. As a result, she became leaner, stronger, and far more toned and flexible than she used to be. Since she left her hospital bed and became a marathoner, Cavanagh has run 2 220 kilometres. Her shapely legs are testimony to that. Losing weight means Cavanagh is free: to choose what she wants to wear, to explore things she never thought she would, and to do the things doctors once told her she couldn’t. Skellern worked long hours to get her first business off the ground, and that meant she often ate late at night, when the only thing convenient was junk food. Unhappy with her reflection in the mirror, she signed up for a couch-to-10-K programme. Since featuring in RW, Skellern has run her furthest distance: 25km. She’s also learned to ward off injury, by introducing cross-training to her weekly routine. Thanks to running, she looks more like a woman in her early 30s – which has boosted her confidence. Rens began comfort eating to cope with the devastating news that she couldn’t have children. She literally got off the couch at 40. So unfit that she felt out of breath walking up stairs, Rens couldn’t even run between one lamppost and the next. By sticking to it, Rens has managed to keep the 20kg she lost through running off for more than a year. Which has done wonders for her waistline: she’s gone from a size 44 to a slim and trim size 38! Since featuring in RW, Rens has focused on running form and speed work, and has managed to shave a whopping one minute per kay off her 10-K pace. Booze and a poor diet had caused Venter to gain weight. But it was only when his wife left him that he became increasingly aware of, and ashamed of, what he looked like. In search of a healthier lifestyle, he swopped drinks at the pub for trail running in the mountains with friends. Venter lives by the phrase ‘the animal we feed is the animal we become’. A good diet is as much a part of his routine as running is. 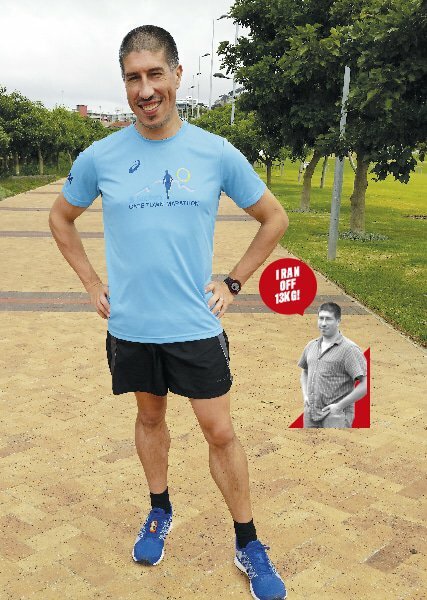 He enjoys trail running, and at the time of writing is looking forward to participating in his first Two Oceans Trail Run – which, he’s been told, is meant to be harder than running a marathon on the road. 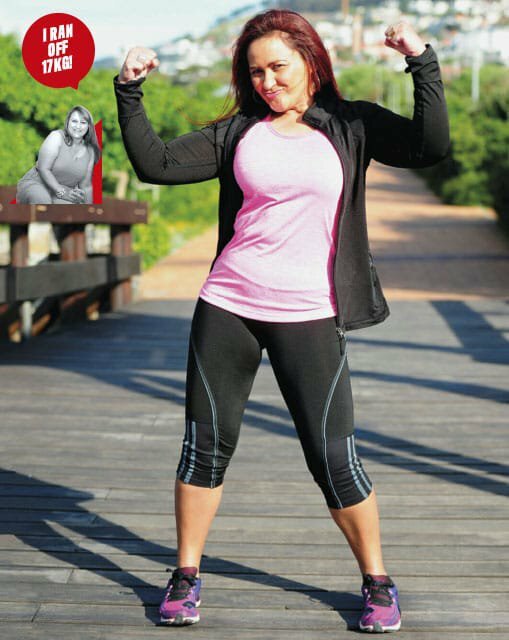 Inspired by all our weight-loss star’s stories? Join the club and start your weight-loss journey with the Run It Off Plan below. What are you waiting for?